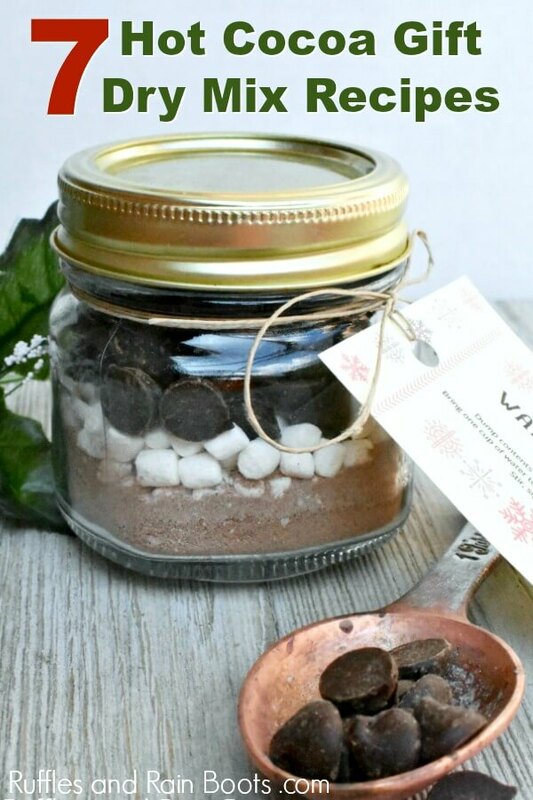 This mason jar hot cocoa gift is a fun gift to make and is such a frugal holiday treat idea. Grab the kids and let them help! Oh, I love this gift. It’s simple, can be customized and you can make a TON of them without ever giving the same gift twice! 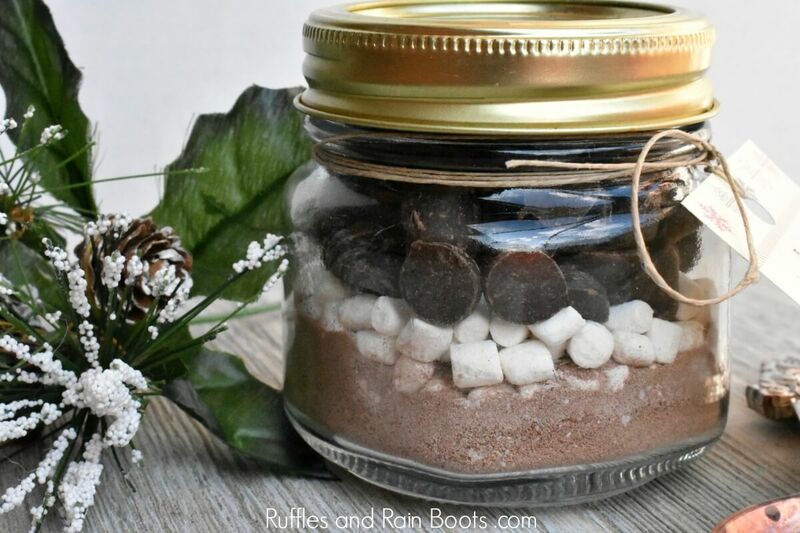 This mason jar hot cocoa gift idea is also really fun to make with the kids. And we like fun Christmas crafts here on Ruffles and Rain Boots. One note: get chocolate hot cocoa powder and white chocolate flavor, too. The variations we have used (so far) are below and I’ve made you a printable recipe page (the watermark doesn’t appear on the printed version). Friends, this is an easy craft and if you’re looking for a frugal gift idea, look no further. 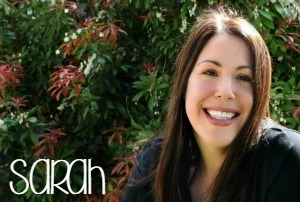 It’s quick to come together and the kids can definitely help! 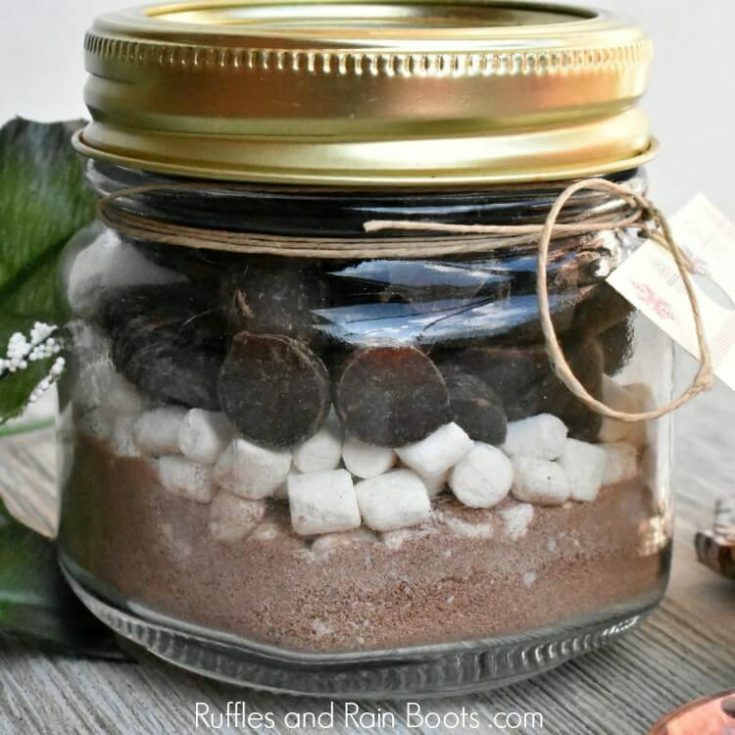 Pour the cocoa mix into the small mason jar. Lightly tap the jar on the counter to settle. Top the cocoa with mini marshmallows. Add chocolate chips to the top of the marshmallows. 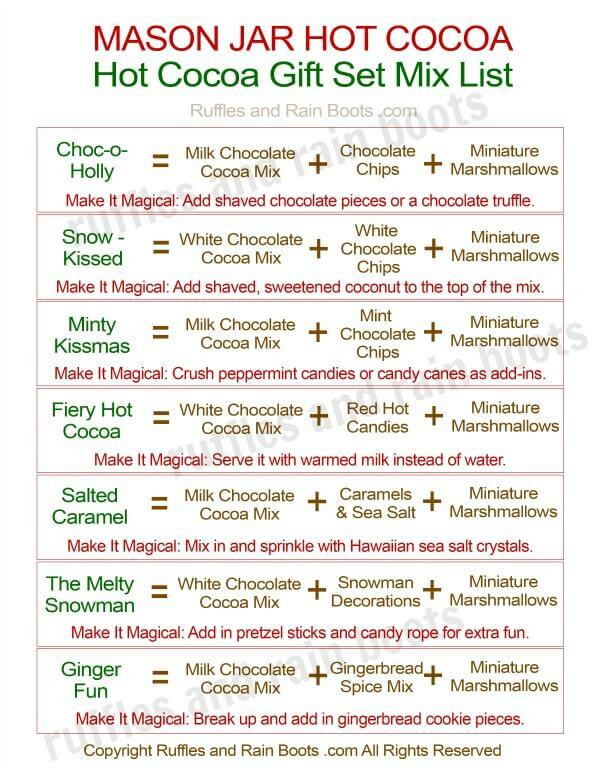 Optional, add crushed peppermint candies or candy canes. Seal the jar, print and hole punch the printable gift tag, and tie it on with a piece of ribbon. 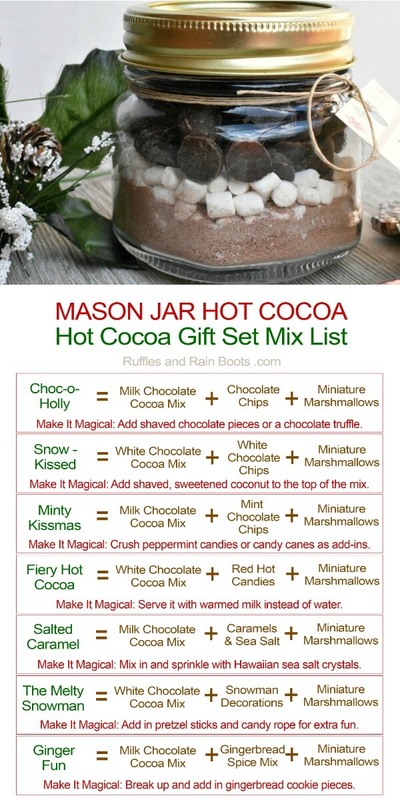 Don’t forget to grab your free gift tag and printable cocoa mix list here. No sign up is required – happy gifting!